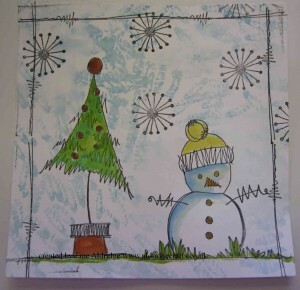 Another play with the JOFY04 Snowman stamp set from PaperArtsy. 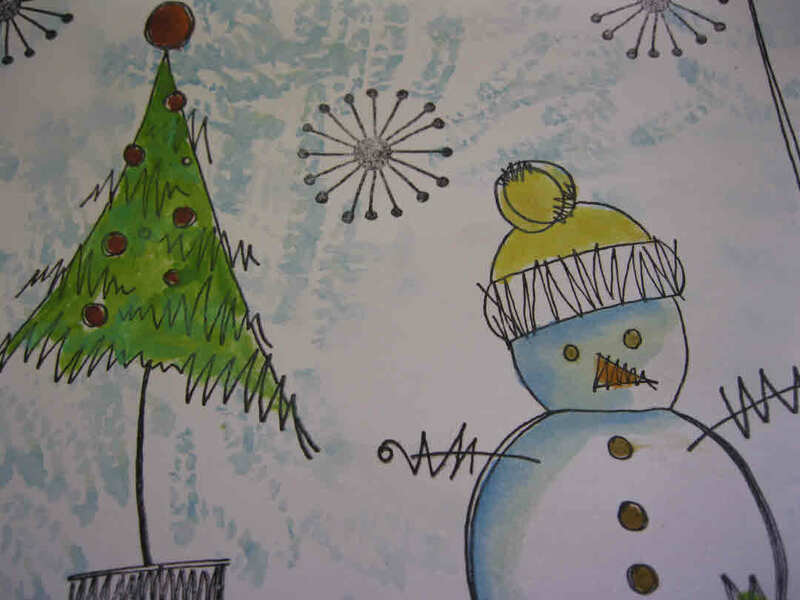 I’ve stamped out the Christmas tree and the snowman before adding colour so that I can keep the snowman’s body free from colour. The background is made wet before applying broken china Distress Paint in a stipple technique. 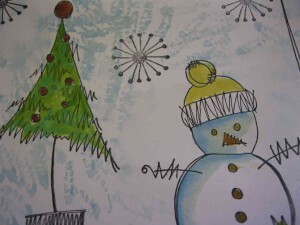 The tree and the snowman have been painted with Distress Inks too. Love the flowery snowflake which is a flower from another set and the zig-zag borders which comes on the snowman set. The shading on the snowman has been achieved by using a little washed out broken china to add the look of a shadow. He has also been glittered using a clear Wink of Stella pen (which doesn’t show in the picture).